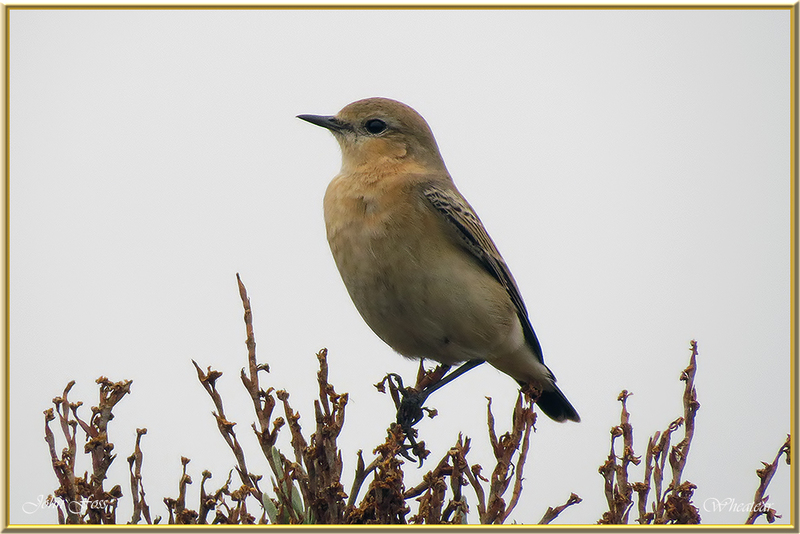 Wheatear - Summer resident. 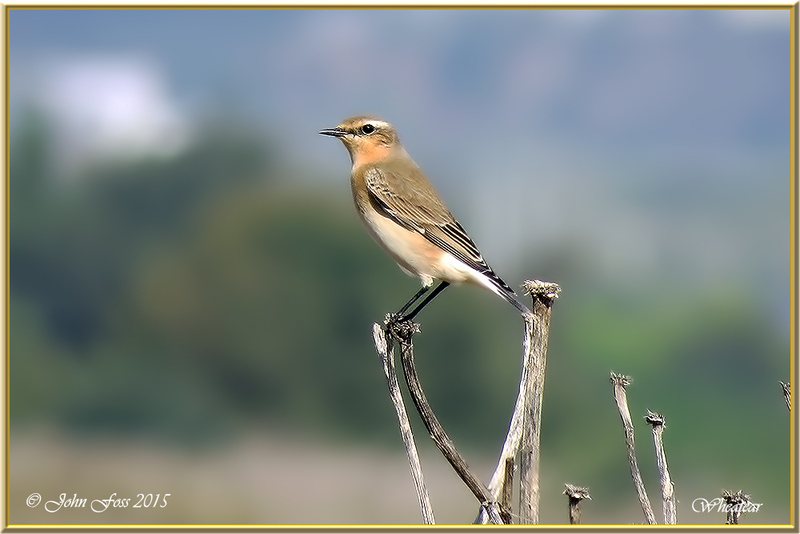 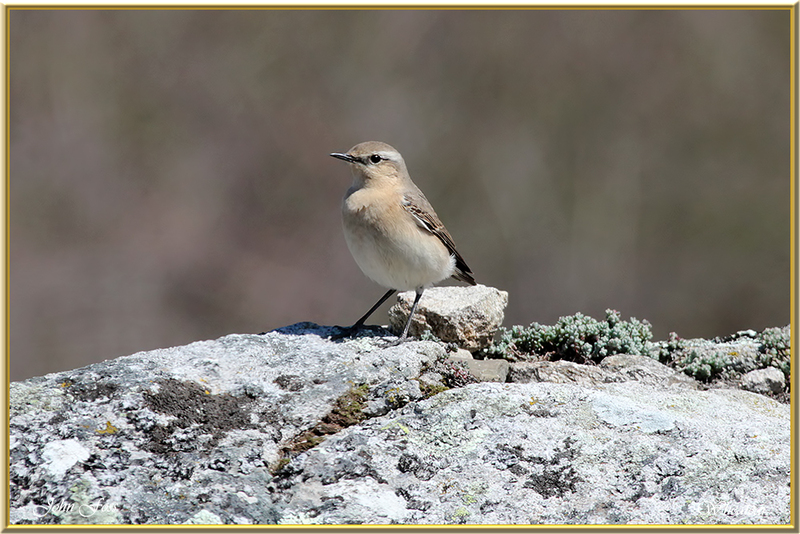 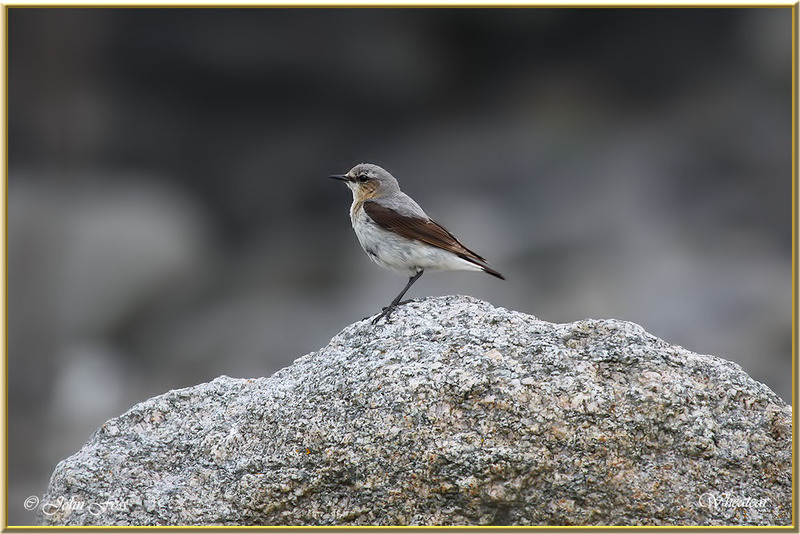 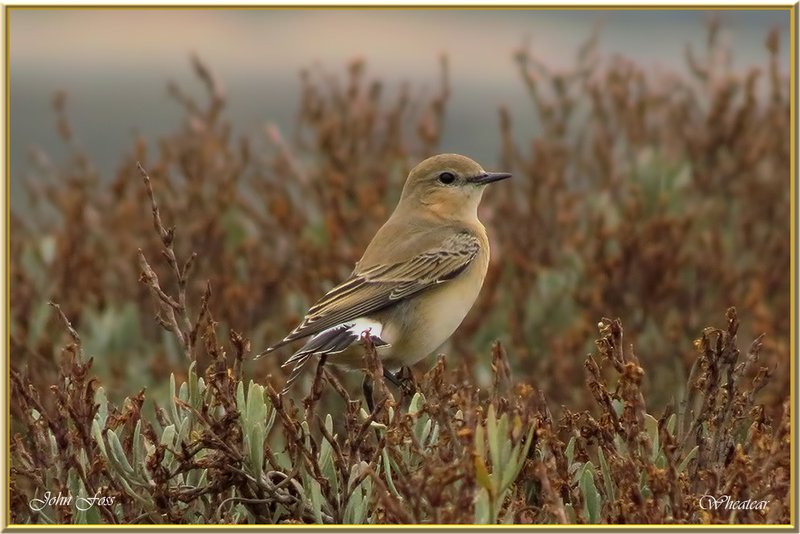 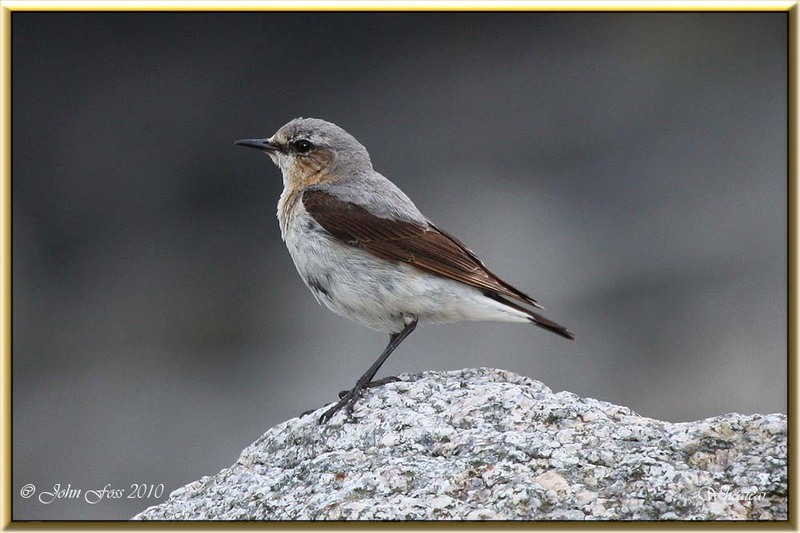 The Wheatear makes characteristic short darting flights, darting in and out of holes in rocks or stone walls. 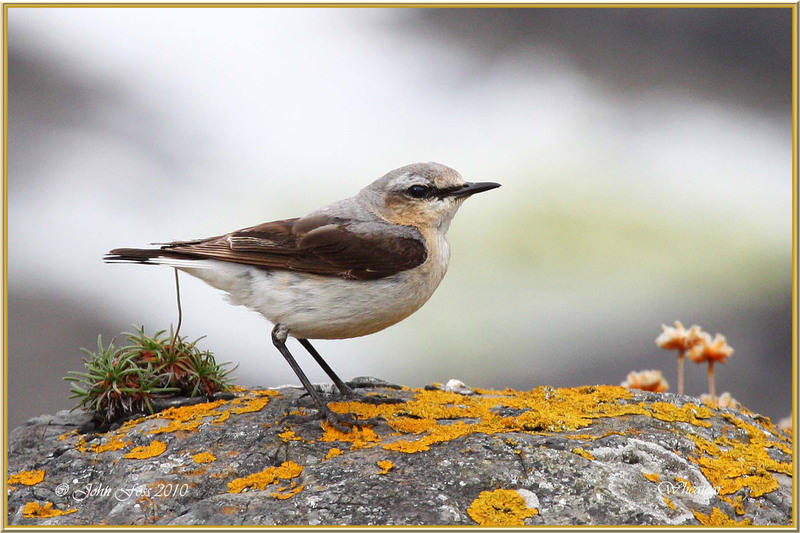 Nest is on ground on dry tundra, usually in hole in a wall, under stones, or in old rabbit burrow. 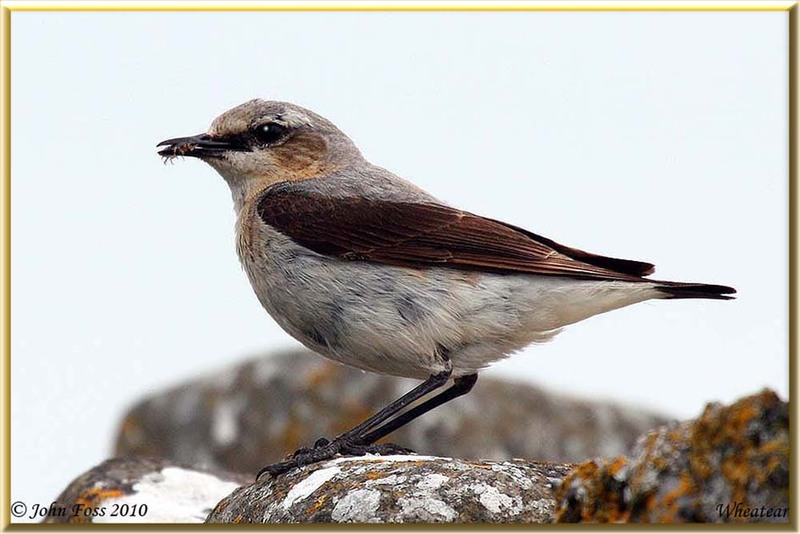 The nest is a cup of grass, twigs, weeds, lined with finer material such as moss, lichens, rootlets. 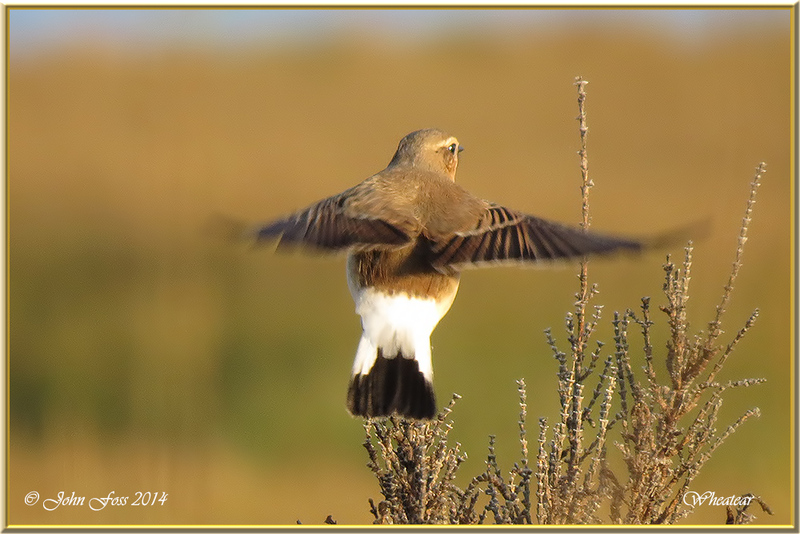 In flight it shows a white rump and a black 'Tee' shape on the tail. 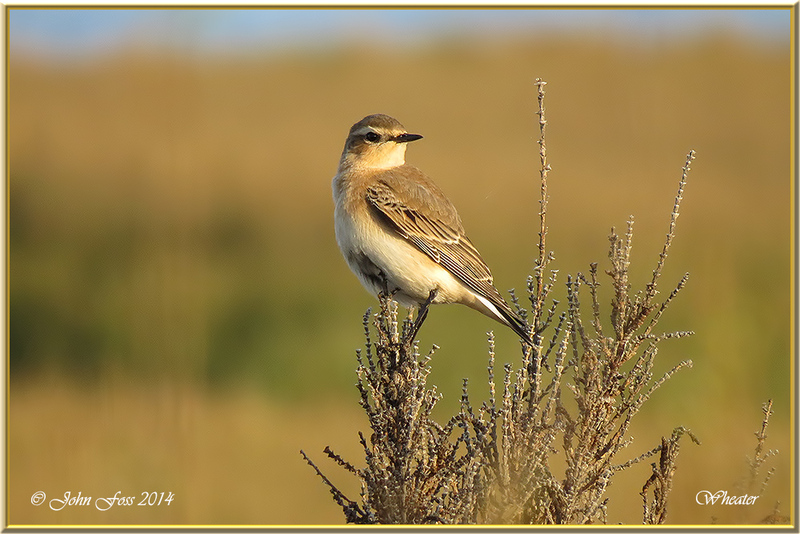 Photographs taken in Easky County Sligo, Cabanas De Tavira, Vilamoura reed beds and Quinta do Lago in Portugal.